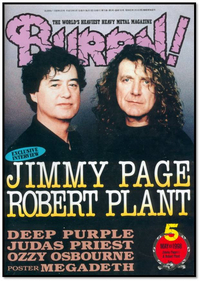 In the summer of 1995, I visited Japan for the first time as the tour manager for former Deep Purple/Black Sabbath singer, Glenn Hughes. We attended a dinner meeting at Trader Vics in Tokyo’s New Otani Hotel. Also at the meeting were Toru Hashimoto, the president of our Japanese record company and Koh Sakai. Koh Sakai was one of the most powerful people in Japan’s music industry. He was simultaneously the editor-in-chief of Burrn! Magazine (the equivalent to Rolling Stone in Japan), a DJ syndicated on over 200 radio stations and the star of a very popular music video show. As a tour manager, I wasn’t a big part of the conversation. My job was essentially to listen and be available to answer any questions, keep track of any commitments, etc. At one point, Koh happened to mention to Glenn that he was a fan of the San Jose Sharks, a hockey team. 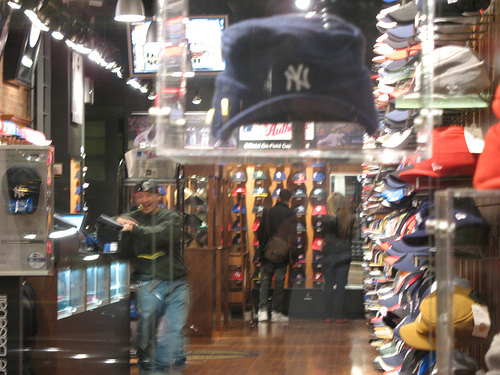 I don’t recall why it came up and didn’t think that much about it until I spotted a San Jose Sharks cap in a sporting goods store back home. I had no idea when, or even if I’d be returning to Japan but I bought the cap for $15, tossed it in a closet and almost forgot about it. A few months later, Glenn fired his manager, offered me the gig and I accepted. In early `96, after we’d finished the sessions for Glenn’s new CD, Addiction, we flew back to Japan for a round of interviews and promotional appearances. Once again, a meeting was setup with Koh Sakai at Trader Vics. When we sat down to dinner, I pulled out the Sharks cap and presented it to Koh. Without realizing it, I’d gotten lucky. It turns out the cap I’d found was an unusual color combination that was only available briefly during the previous season. Koh had the Sharks team leather jacket and had been looking everywhere to find the matching cap. I wish you could have seen his face. His eyes got wide and his jaw nearly hit the table. Finally, his gaze shifted from the cap to me, he seemed speechless but his expression said, “How did you know?” Now keep in mind that it had been nearly a year since the last meeting and it’s quite possible that Koh barely remembered me much less that he’d mentioned the Sharks last time. From that day forward, Koh Sakai became a valuable ally and mentor. When Addiction was officially released, Koh scored it 99 out of a possible 100 in the reviews section and featured it on his show. I’ll never forget Koh walking through our dressing room door when the band played Tokyo. He had a huge grin and proudly pointed up to his Sharks cap which he wore with the matching jacket. What you may or may not realize is that people in position to get an artist publicity or airplay are often showered with gifts, bribes and favors. There was a time, not that long ago, in the US when it wasn’t uncommon for DJ’s and program directors to get Fedex envelopes stuffed with $100 bills to get them to play a song by a particular artist on the radio. In that type of competitive environment, kind of like the one many of us face today, it can be difficult to stand out. Yet sometimes is doesn’t take a pile of money. Sometimes it can be as simple as just listening to what that person to whom you want to connect has to say. And as the saying goes, sometimes it really isn’t the gift, but the thought that counts. Great article, with fantastic advice. Also, it’s really cool you worked with Glenn Hughes! Not a name you hear very often, but still has a reputable rock history. Thanks, Jerry! Glenn’s got a new group with Joe Bonnamassa, Jason Bonham and Derek Sherinian from Dream Theater called Black Country Communion that’s pretty good.